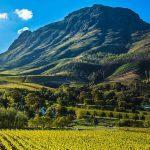 Who we are - Safaria is a proudly South African Family! 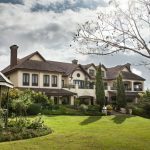 We are a proudly South African Family with roots in the Lowveld since the late 1800’s. South Africa, it's wild life and heritage are our passion and Safaria was born to share this love with both our local and global family. Safaria offers the African adventure traveler personalised Half & Full Day Kruger Park Safari packages into the iconic Kruger National Park. Our guides are hand selected for their knowledge, skill and guest engagement. 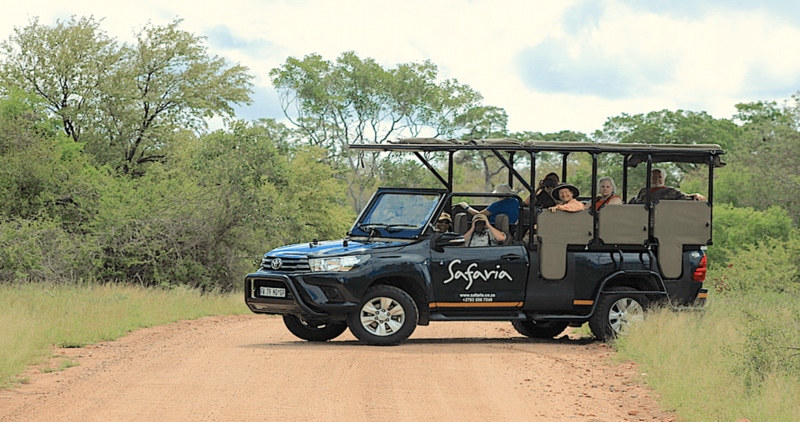 Our fleet of brand new specialised Open Safari Vehicles, have been customised with your comfort and safety in mind. 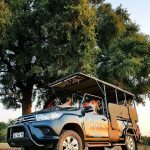 Our vehicles pioneer the Open Safari Vehicle market with industry leading customisation for enhanced guest experience. All our guides are FGASA qualified and our vehicles carry public liability cover of R20million and personal liability cover of R50million. Your safety is our priority and all our vehicles meet the latest South African Road Safety as well as South African National Parks regulations. We make sure that our Safaria guests can travel assured that with us you will receive nothing but the best in service and experience on your Kruger Park Safari. 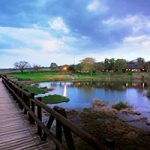 Based in White River, near the near the famous James Stevenson Hamilton's homestead (first Kruger Park Warden), we are right on the Kruger National Park's doorstep. From here we offer a variety of specialised Half & Full Day Kruger Park Safari in our fleet of brand new customised Open Safari Vehicles. 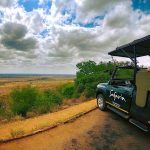 With Safaria you can be rest assured that you will receive the highest standard in Private Kruger Park Guides as well as Open Safari Vehicles. 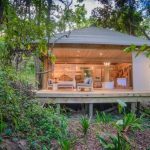 We have also developed our own unique Safari Style in Kruger which blends the typical luxury lodge safari drive experience with a Kruger story board of wildlife, heritage and ancient bush wisdoms. Our guides are hand picked from some of the finest 5star lodges ensuring they have the knowledge as well EQ to engage our guests. Our vehicles are industry leading with a safari world first in that they come equipped with WiFi as well as onboard an coffee press amongst other finer details. 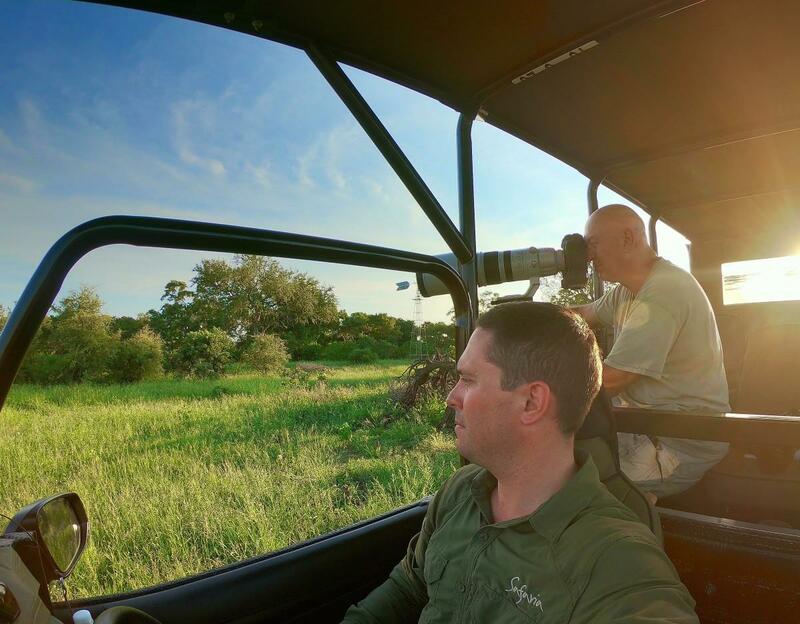 Safaria is the premium Day and Overnight Kruger Park Safari operator and for that reason our focus is entirely on the making sure that our guests don’t just see the Kruger Park but experience this "theatre of the wilderness” from the best seats in the house. 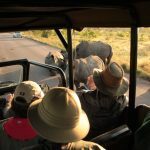 We offer our private guests and travel partners tailored Day safari packages, personalised private vehicle safaris as well as escorted safaris for those wishing to have their own guide and vehicle over the duration of their Kruger Park Safari experience. 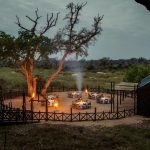 We take our Safari in the world-renowned Kruger National Park with nearly 2 million hectares of unrivaled bio-diversity that is infused with historical, cultural and archeological heritage. The reserve has been internationally lauded for its contribution and vision to land and wildlife management, as well as its inclusive community engagement. 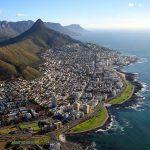 Its a place of dreams for every traveller to South Africa. It's here that we embellish the classical Kruger Park Safari, where the story of the bush and all its characters is told and celebrated. We track and trail its wildlife, we share the stories of the old traders and rangers. 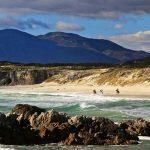 We look with awe over the magnificent land and her cultures and heritage. We celebrate Safari and take you on the journey with us. Our Safari Style is a story-filled educational experience with a naturalists approach that is relaxed and unrushed. 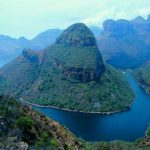 Our guides will take you on a journey through the wilderness focusing on the Big and Small and will also unpack the park's century old history and heritage. Unlike a typical tour with a set itinerary, our Safaris will take you to all of our favourite places exposing you to far greater levels of diversity than you would see on a self-drive. All our Day Safaris are flexible and are planned around your requirements. 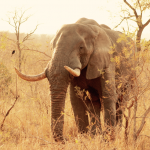 This is Safaria - the premium Kruger Park Safari. Andrews love for the bush started with his first trip to the Kruger National Park as a 3 year old boy and that was enough to influence his life dreams for ever. Having grown up on a farm and spending most of informative years in the bush, his Schooling and University would see him go on to enjoy a successful 16 years in the Corporate world with big brands like Mercedes-Benz, Barloworld and AVIS. After 16 years it was time to head of into the wilderness and pursue his true love - the African bush. Having relocated from Johannesburg to White River, next to the Kruger National Park, Safaria was birthed and the dream became a reality. Andrews personal touch is the special ingredient in Safaria. 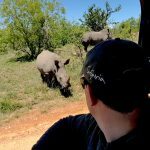 As a qualified FGASA Field Guide,Trails Guide and Regional Birder, its really his hunger for information and the manner in which he shares it that draws his clients in. 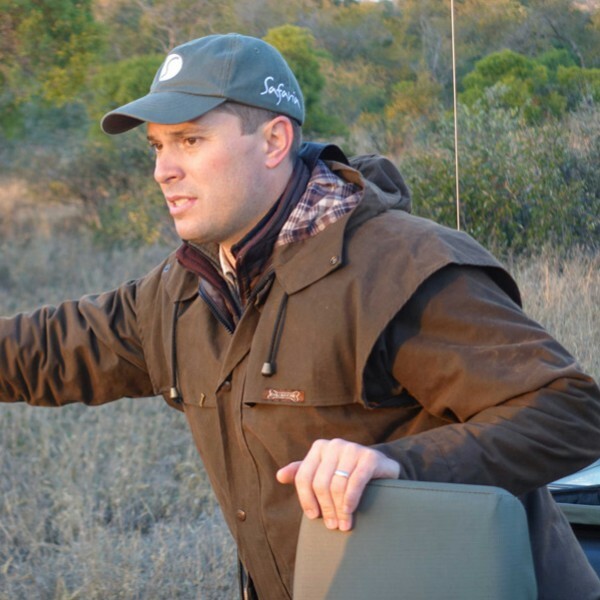 Andrew is currently busy with his Advanced Guiding and Tracker Qualification as well as being a Savanna Biome specialist within the Greater Kruger National Park.